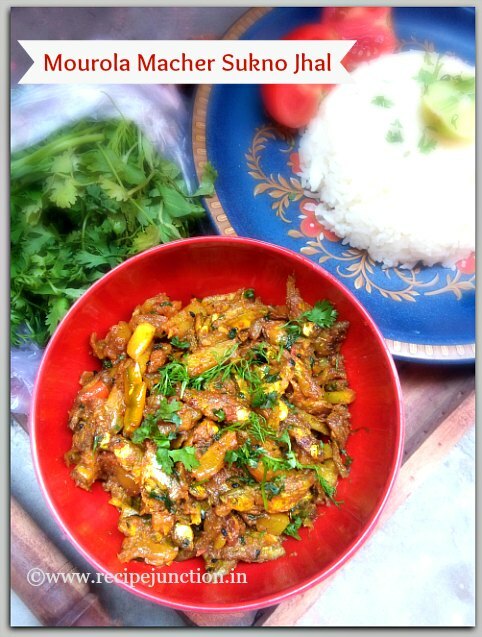 Today I'm sharing a Bengali small fish recipe which I havn't shared yet on my blog. 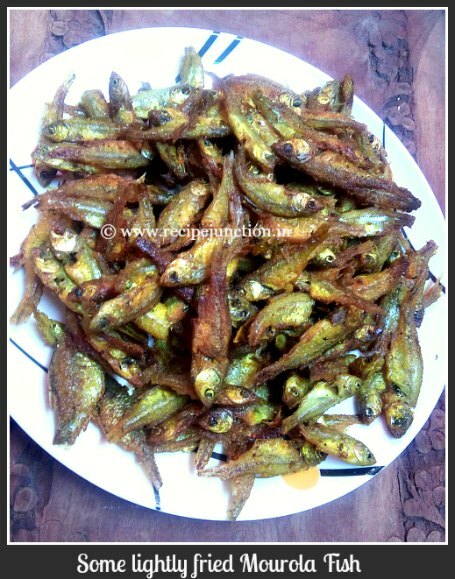 This is one of the favorite fish of Bengalis, too. This fish is called "Mourola" and its very similar to Anchovies. They are extremely delicious and good for health as well. These small fishes are full of Calcium and Vitamin D. This Mourola fish are sweet water fish and are very delicate. You have to take good care while cooking not to break them in pieces. 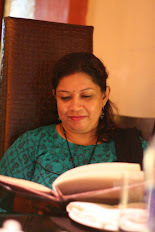 You have to follow certain things while frying them, I have given a detail insight about it. They are very tasty just fried and have no raw fish smell. These are also my husband's favorite fish and I love to cook it little spicy with lots of onions, ginger and tomatoes. With hot rice this fish curry tastes divine. 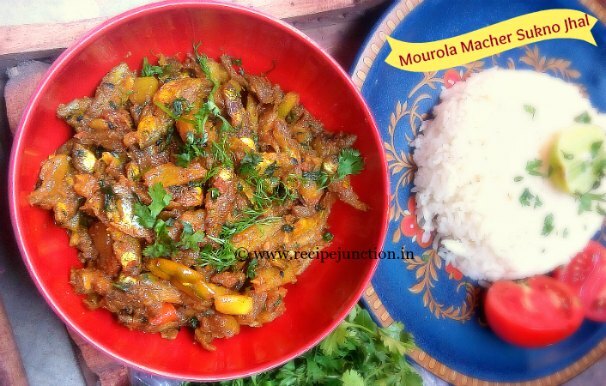 Mourola Fish : 250-300 gms. Turmeric powder : 2+ 2 tsp. Clean the fish and sprinkle some salt and 2 tsp. turmeric powder and keep aside for 15-30 minutes. Cut the potatoes in thin and long slices. Slice the onions too. Heat a flat frying pan, add little more than 1 tblsp. oil, when hot, throw the fish pieces in oil and spread them evenly in a layer. Lower the flame to medium and let them get brown on one side, then carefully turn each fish to the other side and let them brown. As I said earlier, they are very delicate, so take care not to break them and do the whole frying in medium flame, otherwise they will quickly burn and taste bitter. When both side are fried, remove from pan. They can stick to each other, that not a problem, when they are fried, carefully separate them but do not try to separate them when raw in the pan. Then they will break easily. In the same pan, fry the potato slices with a pinch of salt. Keep aside. Now heat another 1 tblsp. oil in separate pan, temper with black cumin seed, immediately add the sliced onions. Saute they are light brown, add chopped green chillies, tomatoes and ginger paste. Saute till tomatoes are soft. Add turmeric and red chilli powder. Add little salt and potato slices. Mix everything well and saute for few more minutes till oil separates. Then pour 1/2 cup water and in low flame let the fishes absorb the curry. When all water evaporates, check the seasoning and mix well and remove from heat. Garnish with lots of fresh coriander leaves.